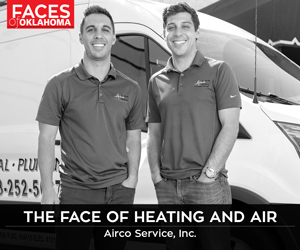 Sarah McPhail, interior designer at SR Hughes, had no question about how to approach the interior of a home in an Oklahoma City micro-community created by architect and builder David Wanzer. “The exterior absolutely set the stage for the interior,” says McPhail. the clean lines in the kitchen design take their cues from the home’s architect, david Wanzer. Photo by David Cobb. 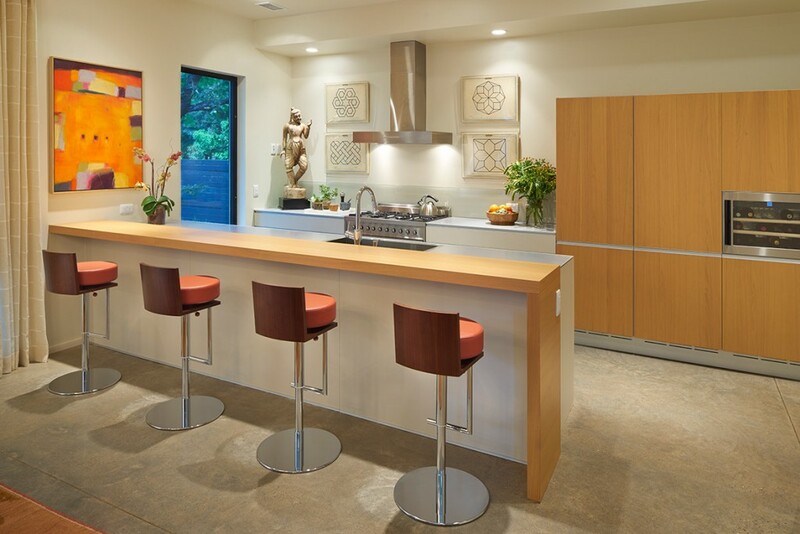 The kitchen was designed by Scott Pohlenz, AIA, NCARB and owner of Pohlenz-Valcucine. The cabinets are Demode by Valcucine and were imported from Italy. “The wood is from renewable sources, and the countertops are antibacterial acrylic,” says Pohlenz. All hardware in the kitchen is hidden, and there are no upper cabinets. All the appliances are fully integrated into the cabinetry. Existing Poltrona Frau barstools from SR Hughes set the bold tone. A Carolyn Cole original from Abersons Exhibits explodes with the same strong palette. The white chandelier over the dining table continues the modern aesthetic. Photo by David Cobb. In the adjacent eating area, McPhail continued the theme with a modern aesthetic utilizing a classic Knoll table with black leather chairs. 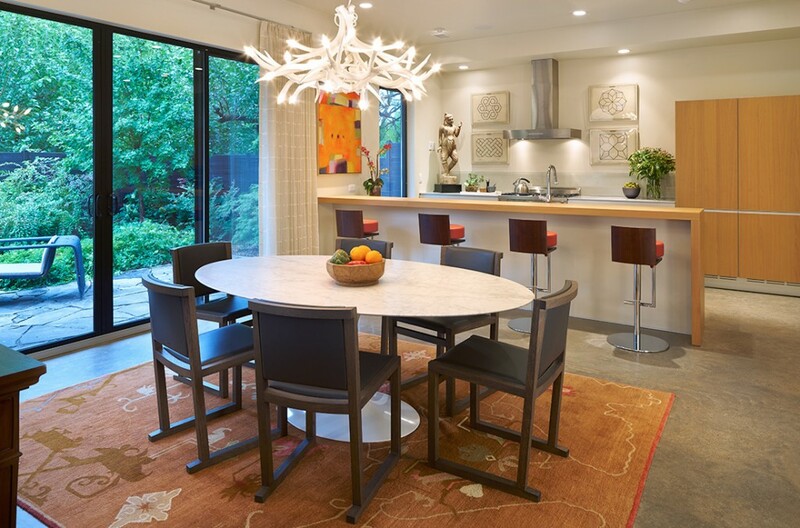 The stark white chandelier is balanced with a colorful area rug. The homeowner also likes to blend modern and primitive, so an Asian sculpture, discovered at The Golden Triangle – an antique store in Chicago – is perched upon the kitchen counter overlooking the space.